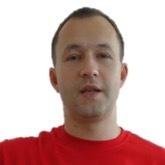 Konstantin Razumovsky is the first Belarusian Professional Scrum Trainer and Agile practitioner that combines training/consulting activity with everyday practical work in a software development company. Having started his career in 1998 as a Java Developer, Konstantin has tried a variety of roles in software development such as Project Manager, Scrum Master, Department Head, Product Owner, and even COO of a startup. Also please check the list of my public Scrum courses.